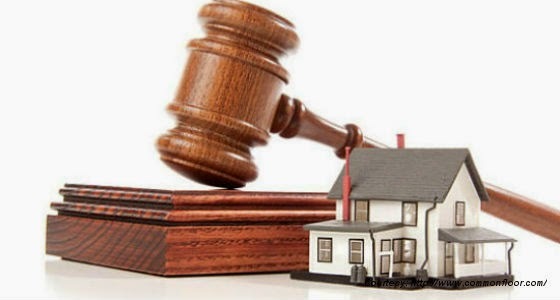 Do you know about Real Estate Regulatory Bill? Here are disclosed some important facts about Real Estate Regulatory Bill 2015. If you are in real estate market, do read the facts about Real Estate Regulatory Bill now. Update :- The real estate regulatory bill is passed in loksabha and rajya sabha with some changes. As we know Real Estate Regulatory Bill was first presented by UPA 2 and later Narendra Modi lead NDA govt has also forwarded and approved by cabinet with few changes. The main and first Real Estate Regulatory Bill was came in 2013, introduced by Dr. Manmohan singh lead UPA II Government. But again, Narendra Modi Lead NDA Government’s Cabinet approved Real Estate Regulatory Bill, so soon there will be some regulation introduced in Real Estate Business. 1. It is mandatory to register each and every real estate property. Each Real Estate Projects, plots, apartments, building should be registered with Real Estate Regulatory Authority of India. 2. Now each and every builder must disclose and publish the project layout plan (which earlier was neglected by many builders), Plan Approval Status (whether it got clearance certificates or not), who are contractor, architecture and engineers of project. 3. Builder/contractor needs to adhere to projects plan, if some customer demands refund, they are adhere to refund it asap. 4. 50% of money (which given by Customer) should be deposited in (respected) bank account within 15 days (of receipt) and should be used only for construction work. (No more black money). 5. Minor changes in layout plan or construction plan are allowed but major changes are not allowed without permission of third allottees. 6. Real Estate builders and Agents must be registered with real estate regulatory authority, if they want to sell property. 7. All the Agents who are associated with Real Estate Business must need to maintain Records, book of account, and all related documents (of property which they sell or buy). 8. In case of dispute case, fast track court will maintain case through centralised authority district judge. 9. In case builder/developer wants to de-register plan, there will be heavy penalty to be paid, if bill not followed by builder. 10. Customer gets right to obtain possession as per promoter declaration, if not, refund with interest to be paid to customer by builder. To me, this is much needed regulation bill for real estate business, since there are lots of misconnection and lots of defaulter cases has been registered every year. This will enhance clarity and security to customers of real estate. Read press release related to Real Estate Regulatory Bill here. Also check this video to understand about real estate regulatory bill, 2015.